Here are some of my tips for cleaning the house on a budget. We all have this in our house anyway, it is a fantastic all round cleaner. Hot soapy water is probably the single best cleaning resource. Use it to clean around the whole kitchen, the bathroom, use a mild solution on floors, wring out a cloth and use on furniture, take a scrubbing brush to the outdoor furniture and even slosh it on the patio and scrub off to get rid of most of the grime and moss that can grow there. I don't use the cheapest one available as they tend to be thin and fairly useless. I use shops own brand or Fairy if it is best value. Vinegar is an amazing cheap versitile cleaning product. I have a spray bottle with 25% vinegar to 75% Water That is used as an all round cleaner spray. Great for getting general dirt and grime off of all the flat surfaces. It has a slight anti-bacterial properties so for general wipe ups it is great. I use these as a boost to the vinegar/water or just to add a nice smell around the house. I personally can't stand fake air-freshener but a drop of lavender or lemon essential oil on a cloth before wiping a sink or dusting is lovely. I use these for dusting as they pick up the dust instead of just moving it around. For cleaning anything stainless steel, glass or mirror I have found nothing better than a dry microfibre cloth to bring out the shine. I haven't had much luck with the cheap ones (4 for £1) so it might be worth spending just a little more, my best set is from Lidl. Sprinkle it on carpets or soft furnishings 30 mins before vaccuuming to take away smells and help with some stains. For nasty burnt on food on cookers and ovens, try sprinkling with bicarb. before spraying on straight vinegar. The fizzing action should help lift off the burnt on food. On a stainless steel sink, sprinkle a little bicarb and scrub with a cloth to polish out stains and marks. I buy a disinfectant called Zoflora, I just like the smell and it is super cheap. It comes in a tiny bottle and you only need a few drops at a time. Sadly Zoflora is not friendly to my septic tank so I use it very sparingly and I don't let it go down the drain. We hardly use bleach because we have a septic tank. But I do have a half and half, bleach/water solution made up in a spray bottle for killing mouldy patches in the shower room silicon. Just spray it on and let it stand for at least 10 mins before wiping off. The cheapest bargin thin bleach is fine, you don't need anything fancy. If you don't have good routines in place you are going to be working hard to catch up and that is when those expensive bottles of cleaning potions are at their most tempting. 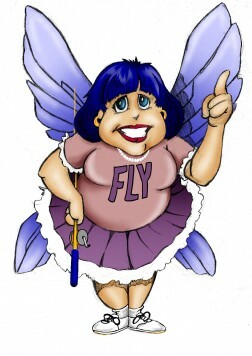 If you need to get routines in place go and check out the Flylady website, it saved me from drowning in my own mess. Really an essential cleaning aid. Sometimes you just need to roll up your sleeves and get scrubbing. Nothing but breaking a sweat will do. Do you have any budget cleaning top tips? Please share them in the comments below.